For many Conservatives, it is now a question of when, not if she steps down ahead of the next election in 2022 -- and the date most often mentioned is 2019, when Britain is expected to leave the European Union. "Getting rid of her is like going to the dentist," a government minister was quoted by The Sun as saying. "You keep putting it off because it's going to be painful but you know you have to do it eventually." EU officials say Britain has so far not made sufficient progress on the preliminary negotiations centring on the divorce bill, despite May's push for a breakthrough in negotiations. Thwarted in Brussels, May had hoped to revive her fortunes at last week's party conference. 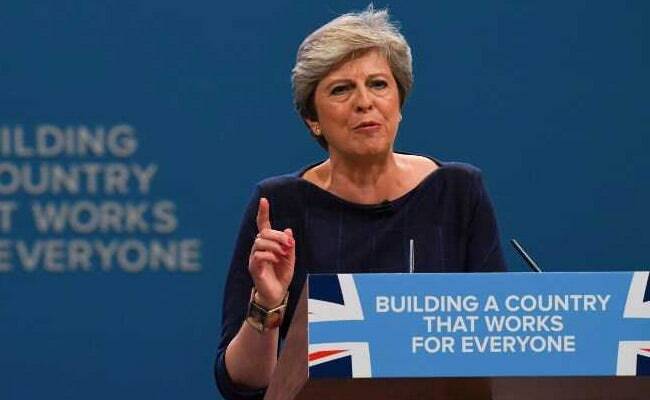 The sense of chaos was only enhanced when the letters of the slogan "Building a Country that Works for Everyone" started falling off the board behind her. "The sense that this cannot go on may now overwhelm her," wrote Times columnist Philip Collins, one of a growing number of commentators saying that the leadership crisis has finally come to a head. Iain Begg, a politics professor at the London School of Economics, said he expected "frantic efforts over the weekend to shore up May's position". "There will be threats. All the dark arts of politics will be used to try to stop it," he said, referring to a possible plot to oust May. He said the current climate had "an echo" of the demise of Thatcher in 1990 at the hands of Conservative plotters. That ouster was in turn followed by recriminations over Europe in the 1990s under John Major that eventually led to Labour's Tony Blair taking office in 1997. "If the wind goes against Theresa May she could be finished by as early as next week," Begg said, adding: "But if the cabinet is behind her, she will survive." Pro-Brexit MPs do not want another leadership election to slow down the process, and there are fears the lack of party unity could hand power to opposition Labour leader Jeremy Corbyn. The Evening Standard, which is edited by former finance minister and bitter May critic George Osborne, predicted "a bloody series of attempted coups, protestations of loyalty and bitter recriminations that ultimately leads to her exit". It said the only way May could regain some control over her party would be "by setting the timetable for her own departure".